A fun and engaging phonics game that practices the r-controlled vowels of AR and OR. -Pass out the attached page to each student. -Pair up students and give them one 6-sided die. -One student plays the role as the “driver” while the other is the pit crew “coach”. -Students will take turns rolling the dice and reading the matching column with accuracy. 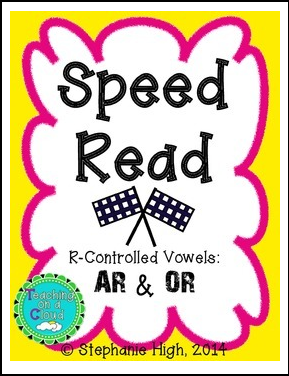 -To make it more exciting, walk around the room and find a “driver” who can speed read in front of the entire class. -For Fun: Let them design their own race car!